Violence in Jakarta today. Seven dead. US-created ISIS has claimed responsibility. 2. Venus widely/indirectly square Neptune. 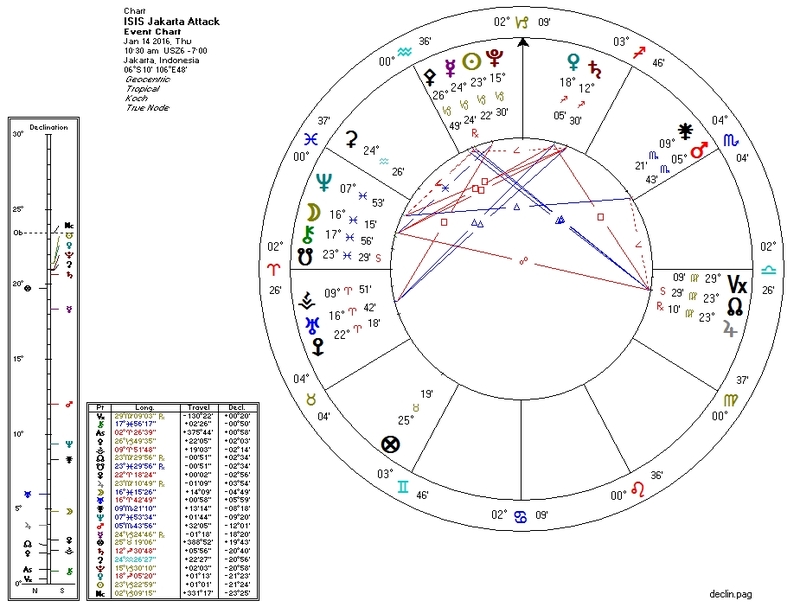 The Pallas and Venus connections are weak. Hence, low body count and no reported concurrent violence elsewhere. 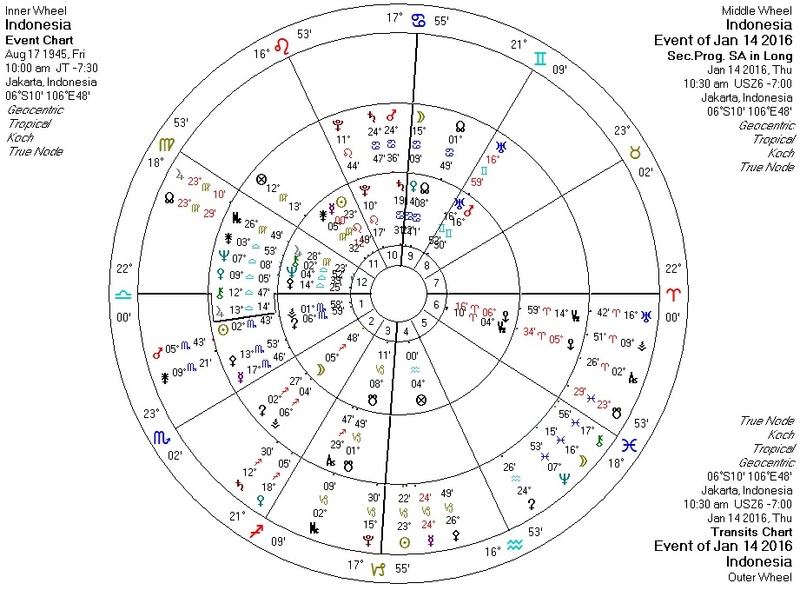 Especially when the Bloodbath Formula is weak for a violent event such as this, we can expect to find a Pluto-to-Pallas transit against the chart for the local government. These patterns basically always appear in mass-murder events. Against the chart for Indonesia we have Pluto square natal Pallas and sextile progressed Pallas. Barack Obama, under whose watch the US government created the ISIS terror group, grew up in Indonesia. Don't let your psychopathic children grow up to be politicians, folks.